Our audiology professionals take their time to ensure that you know how to use and care for your new hearing devices before you walk out the door. You receive extra supplies such as a DriAid Jar, 10 weeks of batteries (typical duration), a hard case for storage, a soft travel case, cleaning tools, wax traps, tips, tubing, and instruction booklets which provide step by step details on the care of your particular hearing device. 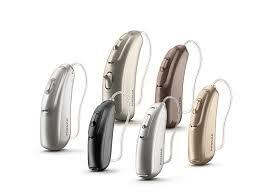 To offer you the most advanced technology available, West Tennessee Hearing and Speech Center is a proud supplier of Phonak and Starkey hearing aids and support products. Bolero options have moisture resistance. Audeo products have options for rechargeable, direct to phone connection for any provider and mini options. Custom in the ear products are now made with a Titanium shell for the most moisture resistant and smallest option. Muse options are featured for music fine tuning and noise reduction. Invisible in the canal products are very deep set in the ear canal and basically invisible to others. 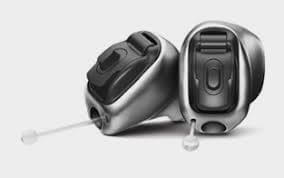 With the purchase of your new hearing device you will receive three additional adjustments at no charge. Our audiologists will encourage you to return for these appointments in order to receive the greatest benefit from your aids. Any other adjustments may be scheduled as needed for a reasonable fee.